The spa industry in Lebanon is predominantly female based and the male market has traditionally been largely untapped. But with more Lebanese men starting to care for their general well-being and physique, and becoming convinced that spas are for them, Beauty for Men Spa & Care Center by Maguy Nassar is the place in town to serve that up and coming niche. Located at the center of Beirut, in Achrafieh, Gemmayzeh area, Pasteur Street, Zoghbi building 45, third floor. This strategic location makes it easy for all the customers to reach the center at their convenience from Monday to Saturday between 11 am and 8 pm. We at Beauty for Men Spa & Care Center tailor our services to make it a unique experience for our male clientele. 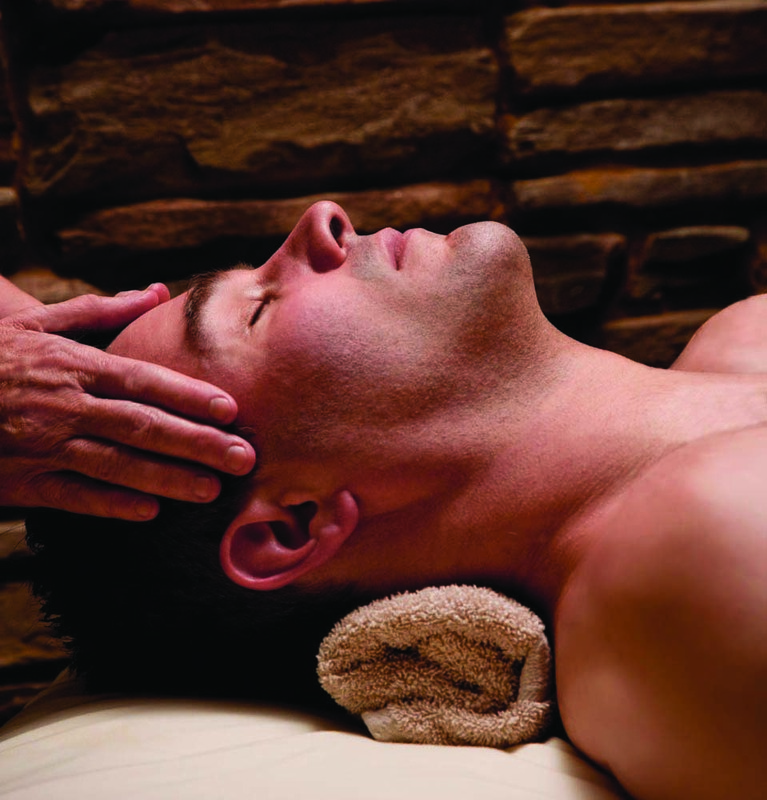 We offer a relaxing and warm ambiance where men can wash off their daily stress and explore new personal care services. Beauty for Men Spa & Care center was the first to introduce a new concept “Road to MANTENANCE at InShape Fair in October 2012. The guru and owner of the center Maguy Nassar said “By participation in the In Shape BFM exhibits a different spin by creating a concept of man maintenance for men who were tyred of tyresome skin, pigmentation and hair growth “. Nassar continued “That’s how the concept of man maintenance came about. It serves as a roadmap for men”. Men have to priorities taking care of their body, Beauty for Men Spa & Care Center assists its clients to make this a habit and follow the best roadmap. At Beauty for Men Spa & Care Center our experts are always available to answer your questions. Our clients are always welcome for a free consultation session where we will provide them with the best treatment to their individual case. During the period of holidays you must have been seduced with Christmas sweets or drank a lot of alcohol on New Year’s Eve. It is about time to get rid of all the fat your body accumulated. We are sure your lady will appreciate the effort you will do to keep your body looking young and attractive. 1- “I will love my body”, body confidence is important and it comes from within, so feel good about yourself – inside and out. When you believe that you are not satisfied about your body, take a decision to do something about it, either exercise or head to our center. 2- Control your food portions. Smaller food portions allow more regulated digestion which will contribute in preserving your body and loosing fat. 5- Quit smoking already, it is the perfect time to quit smoking don’t you think? 6- Keep track of your drinking, it is very important not to drink more than the recommended level around 5 large glasses of wine a week. Drinking higher levels increase the risk of coronary heart disease and strokes, hypertension and digestive problems. 7- Wear sunscreen…all year, sun rays can cause brown spots, wrinkles, and even in extreme cases skin cancer. 8- Try to stress less, although it is a very difficult task in Lebanon, it would not harm at least to try to relax and stress less. If you have a house in the mountains go for a weekend at least once a month. Another easier and faster solution, visit our center and we will make sure you will get rid of all the stress with our varied services such as massage, candle scrub massage, reflexology, etc…. 9- Get more sleep, you probably know that a good night’s rest can do wonders for your mood and your appearance. A lack of sleep has been linked to a greater risk of obesity and diabetes (type 2), as well as memory loss. Simply take a nap and don’t feel guilty about it. And after you change this routine in your life, come visit our center to remove those dark circles that accumulated throughout the years under your eyes to gain your bright looks again. Check out our website http://www.beautyformen.net for more information about our packages and services. Woah this weblog is wonderful i really like reading your articles. Keep up the good work! You understand, many persons are looking around for this information, you can aid them greatly. Thank you for your feedback, we are glad you are finding this information helpful, kindly don’t hesitate to suggest topics you would like to know more about. Have a good day.